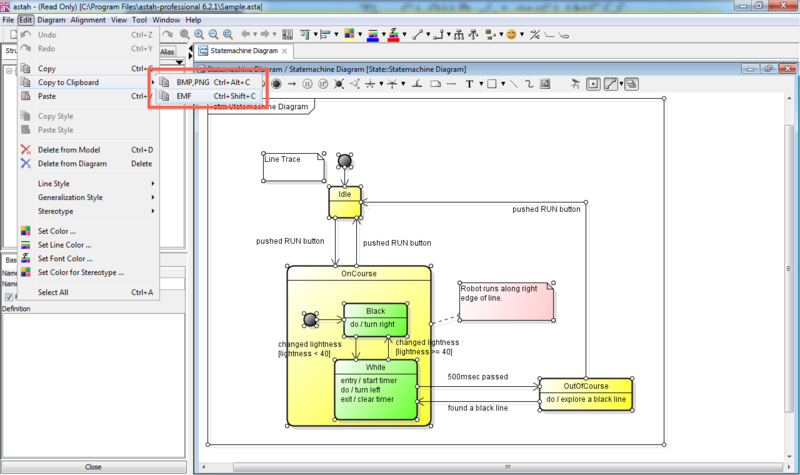 astah* allows you not only to export diagrams you model into RTF documents, HTML, but also use the diagram images on Word or Excel. 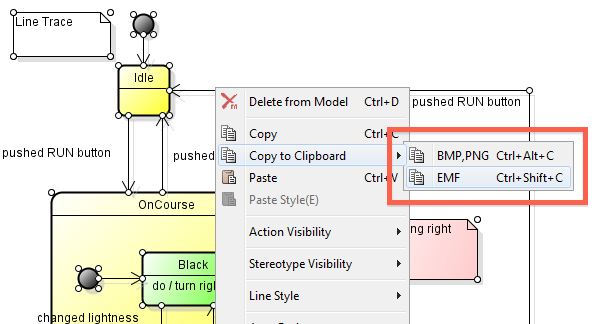 The way to do so is quite simple, you copy your models to Clipboard, or save it into image files such as EMF, BMP or PNG and then paste it onto Word or Excel. Read [Tips] Save diagrams as image. Some people prefer not having shadows on each element, so if you would like not having shadows, take them off before copying or saving it by following the step described on [Tips] Remove shadows from model elements.